A survey made for the purpose of supplying a title company and lender with a survey and location data necessary for issuing American Land Title Association or Extended Coverage Title Insurance. 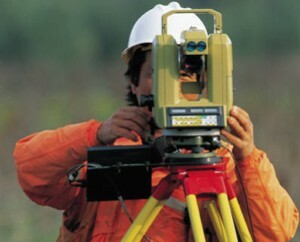 A survey for the express purpose of locating the corners and property lines of a given parcel of Land. 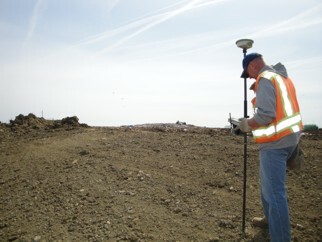 This involves record and field research, measurements and computations to establish boundary lines in conformance with the Professional Land Surveyor Act. Easement lines may also be located and/or established with this type of survey. 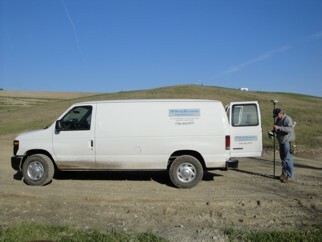 A survey locating topographic features – natural and manmade – such as buildings, improvements, fences, elevations, trees, streams, contours of the land, etc. This type of survey may be required by a governmental agency, or may be used by engineers and/or architects for design of improvements or development on a parcel of land. A combination of boundary and topographic surveys for preparation of a site plan design to be used for designing improvements or developments. The division of a tract of land into smaller parcels, showing parcel monuments and survey data on a map in conformance with local ordinances and the Subdivision Map Act. A survey typically used by title companies and mortgage lenders to obtain proof that the major improvements on the property are free of encroachments onto neighboring properties or into recorded easements; or that improvements made on neighboring properties do not encroach onto the parcel. This type of a survey is not a boundary survey which confirms the set property corners or sets missing corners. Findings are typically certified to a Mortgage Lender or Land Title Agency. An original survey, resurvey, or retracement of public lands within the Public Land Survey System of the United States for the restoration of property lines. Performed when a there is a need to divide an existing parcel of land into two or more parcels. All surveys for lot splits include a plat of the new parcels and the required legal description to record the split. Reconnaissance, preliminary survey and location survey for an alignment of a linear type feature such as a road, railroad, canal, pipeline or utility line. A survey performed to define the alignment and locations for the construction of roads, buildings, pipelines, power lines and other improvements to the land.